MY UNDEADLY WINS AUDIENCE CHOICE AWARD AT SALTY INT. HORROR FILM FEST! We are so HONORED to take the audience choice award this year again, at the SALT LAKE CITY INT. FILM FESTIVAL!!! This time with our short film MY UNDEADLY! 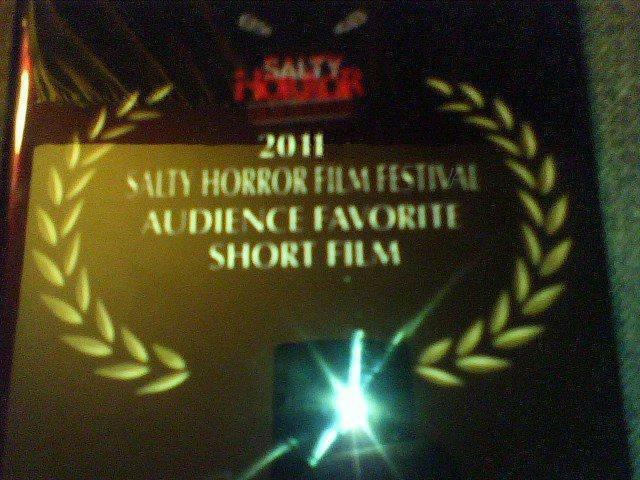 (Starring LOVELY SCREAM QUEEN MICHELLE TOMLINSON) … Horror of Our Love: A Short Film won the same award last year and now we win again this year, WE LOVE YOU TOO SALT LAKE CITY!!! SUCH an honor and we truly can’t thank you enough!! WOOOHOO!! !